we are the source of Greece’s most exciting tours and the One Stop Shop for the famous One Day Cruise to Hydra, Poros and Aegina Islands! We are committed to bringing you the best quality for the best price. Our goal is to provide you with the unforgettable memories and make you want to come back in the future! The reputation gained by the company has allowed us to successfully serve more than 4 million happy travelers through the years. Join us on the One Day Cruise any day of the year as we operate 365 days all year round. Our Live Multilingual Support Center operates daily in order to give our beloved customers the best travel experience. 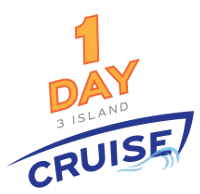 It is important that you also email to adm@1daycruise.gr with full payment details so that we can allocate your payment. After the payment has been received we will inform you immediately with details by e-mail. **Note: All bank transactions require 3-4 working days to go through. The tour/service cannot be confirmed unless the money appear on our bank account. Partial Deposits made for services for any future date are NON refundable. Once you input the payment amount and booking details – services you pay for – you will be taken to SECURE PAYMENT PAGE where you can use your credit card to pay for. Once the payment for the services is finished you will receive an automatic confirmation voucher to your stated email address. Click -Here- to proceed to Secure Custom Payment Page. by Ana on Unique Destination Ltd.
by Jose on Unique Destination Ltd.
by Francisco José on Unique Destination Ltd.